Cristina V. Cardemil, M.D., M.P.H. Response: The effect of a third dose of the measles–mumps–rubella (MMR) vaccine in stemming a mumps outbreak is unknown. During an outbreak among vaccinated students at the University of Iowa, health officials implemented a widespread MMR vaccine campaign. We evaluated the effectiveness of a third dose of MMR vaccine in preventing mumps cases during the outbreak, and assessed for waning immunity. Of 20,496 university students enrolled in the 2015-16 academic year, 259 developed mumps. Prior to the outbreak, 98.1% of students had received two or more doses of MMR vaccine. During the outbreak, 4,783 students received a third dose. The attack rate was lower among students who received a third dose of MMR vs. 2-dose recipients (6.7 vs. 14.5 per 1,000, respectively). Students had at least nine times greater risk of getting mumps if they received their second dose of MMR 13 years or more prior to the outbreak. Individuals who received a third MMR vaccine dose had a 78% lower risk for mumps than individuals who had received only two doses. This study demonstrates a lower risk of mumps in 3-dose MMR vaccine recipients, suggesting the MMR vaccine dose campaign prevented cases and may have helped stop the spread of the outbreak. Waning immunity likely contributed to the spread of the outbreak. Response: University students who had received a third MMR vaccine dose had a lower risk of mumps than those who had received 2 doses, which may have helped control a mumps outbreak on a college campus. 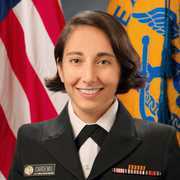 Response: The Advisory Committee on Immunization Practices (ACIP) is carefully reviewing all of the available evidence on mumps epidemiology, vaccine effectiveness and safety, strain type, and duration of immunity to inform recommendations on how best to control mumps outbreaks in the United States. Response: CDC reminds parents and clinicians that the best way to protect children against mumps and other vaccine-preventable diseases is to ensure they are up to date on vaccines. Cristina V. Cardemil, M.D., M.P.H., Rebecca M. Dahl, M.P.H., Lisa James, R.N., M.S.N., Kathleen Wannemuehler, Ph.D., Howard E. Gary, Ph.D., Minesh Shah, M.D., M.P.H., Mona Marin, M.D., Jacob Riley, M.S., Daniel R. Feikin, M.D., Manisha Patel, M.D., and Patricia Quinlisk, M.D., M.P.H. This entry was posted in Author Interviews, CDC, Infections, Vaccine Studies and tagged MMR, mumps, vaccines by Marie Benz MD FAAD. Bookmark the permalink.